Four years after backlash shut down the original staging of the play, David Finnigan's Kill Climate Deniers has now opened in Sydney. In 2014, Finnigan was commissioned by Canberra's Aspen Island Theatre Company to write a play that explored climate change and Australian politics. He called the play Kill Climate Deniers, and was given a $19,000 grant from the ACT Government to develop it. Four years after backlash shut down the original staging of the play, David Finnigan’s Kill Climate Deniers has now opened in Sydney. 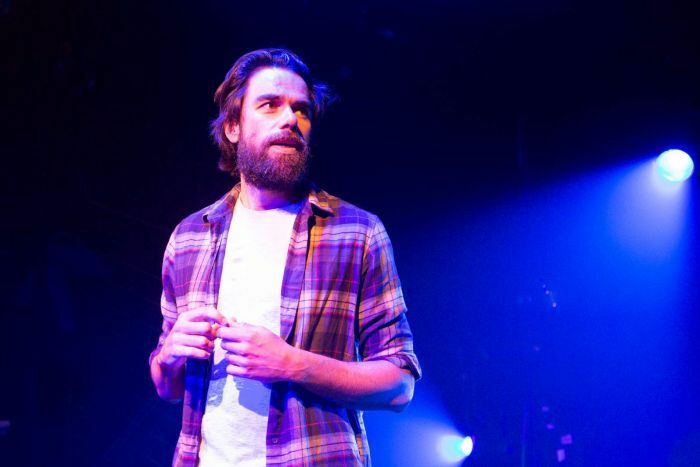 In 2014, Finnigan was commissioned by Canberra’s Aspen Island Theatre Company to write a play that explored climate change and Australian politics. He called the play Kill Climate Deniers, and was given a $19,000 grant from the ACT Government to develop it. A small production from a relatively unknown playwright, it might’ve ended in a small run with a small audience. But then Andrew Bolt caught wind of it. Others shared Bolt’s concerns, including climate change sceptics and the ACT Opposition arts spokesman. Even right-wing US website Breitbart News Network criticised the funding of the play. Concerned about how the online controversy might escalate, Finnigan and his collaborators decided to cancel the planned performance of Kill Climate Deniers. 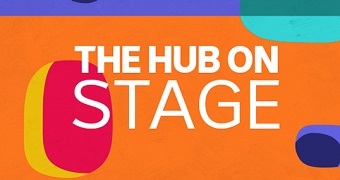 To hear our interview with David Finnigan as well as coverage of the Adelaide Fringe festival, listen back to this week’s Hub on Stage. Finnigan said that despite the name, his play is not a violent call to arms but rather “a pretty joyful comedy”. “It’s a high-octane action adventure thriller set in Parliament House,” he said. The Parliament House of Finnigan’s play, however, has been invaded by eco-terrorists. They’ve taken everyone hostage while demanding that the government stop climate change. 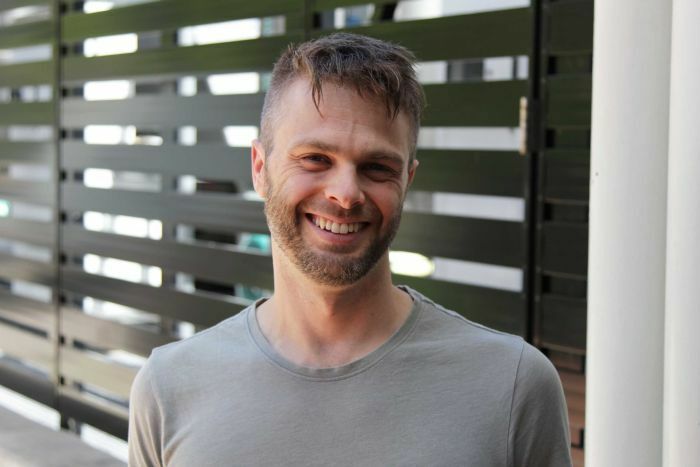 Finnigan, who based his 2012 Churchill Fellowship on studying the intersection between science and the performing arts, creates theatre in collaboration with climate and systems scientists. Scientists were informally involved in the development of this play ensuring that “all the science was double and triple fact-checked,” he said. The backlash to Finnigan’s original play has shaped the work in unexpected ways, leading him to engage directly with the climate deniers who criticised his play’s title. “I think his [Andrew Bolt’s] followers and the people that very actively wrote to me following his attacks are a really interesting group that deserve engaging with,” Finnigan said. “I genuinely think they [climate deniers] understand perhaps better than myself and a lot of left-leaning liberals the consequences of climate science. And because they understand the consequences, they can’t accept the science. “These deniers see climate change as the leading edge of this massive effort to restructure society with a socialist frame. His reworked play includes quotes from the sceptics, the playwright himself, as well as a version of Bolt. “I didn’t ask him to get involved in the project but since he did, I’m not going to ignore the comedy value that he brings to everything he touches,” Finnigan said. Since 2014, Finnigan has released Kill Climate Deniers as an eBook, film script, walking tour of Parliament House, dance party and album — all ways to get his words out into the world beyond the critical headlines. 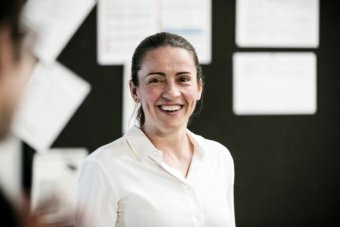 Sydney’s Griffin Theatre Company’s production of Kill Climate Deniers is the first full-scale mounting of the play, which won the company’s Griffin Award in 2017. While in 2014 Finnigan was concerned with the new anti-terrorism laws which included an offence of “advocating terrorism”, he’s less afraid now. “I don’t think anyone is going to take this play literally,” he said. 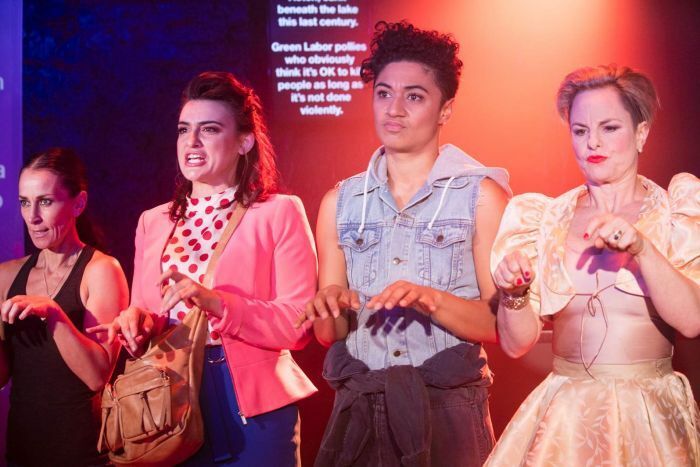 The artistic director of Griffin Theatre Company, Lee Lewis, directed this staging of Kill Climate Deniers, which she described as having “a uniquely Australian train-smash structure”. “He has a clown show with politicians in it, he has an epic tragedy with eco-activists in it and he has a documentary with himself in it; those three strands run really strongly through the play and… collide at a certain point,” she said. Lewis believes that ultimately Kill Climate Deniers must be read as a satire and that “satire is one of our most useful forms for critiquing really difficult politics”. “It critiques the artist and the audience. It asks everybody to look at it through a different, lighter eye, in order to have the conversation, not the argument,” Lewis said. Kill Climate Deniers is showing at Sydney’s Griffin Theatre Company until April 7.